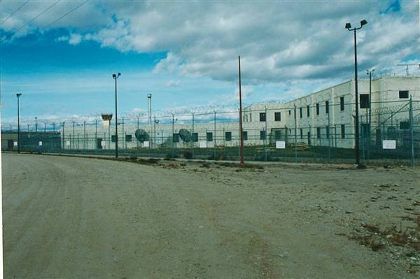 Montana State Prison is located in the Deer Lodge valley approximately 3.5 miles west of the town of Deer Lodge. The institution is designated to maintain a population of 1300 adult male offenders that are classified to one of six custody levels (Max, Close, Medium I, Medium II, Minimum I and Minimum II). There are approximately 600 employees of which 318 are uniformed staff. The physical plant consists of three compounds, Max, High Side, and Low Side which are contained within a 68 acre double fenced perimeter. Montana State Prison utilizes a unit management structure that is ultimately managed by a warden, a deputy warden and two associate wardens. Outside the fenced perimeter is a 80 bed Work Dorm that houses minimum custody inmates that work on a 35,000 acre ranch and dairy program operated by Montana Correctional Enterprises. Click here for additional info.